Finally. A complete system for maximizing your sponsored content income by setting the right rates, marketing your strengths, and negotiating like a pro. 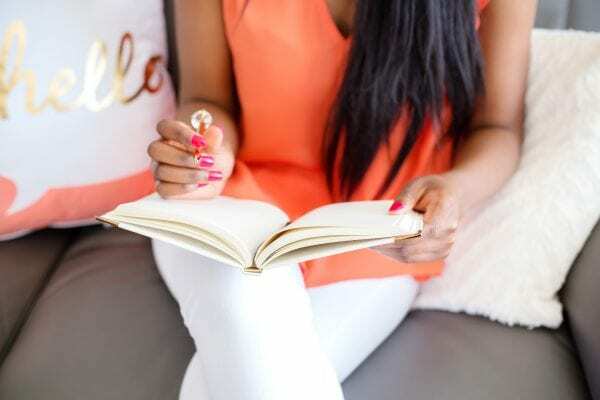 If you're a blogger looking to generate more income from your sponsored posts without adding more work to your tight schedule, we have the answer. Do you have an easy way to set the rates for your sponsored content? Do you know which analytics matter most to brands? Do you know how to market your services directly to the brands you want to work with? Are you comfortable negotiating for your rates? If you answered no to any of these questions, keep going. There's an easier way, we promise. Influencer marketing peaked and brands aren't using it anymore. When we see these headlines, our stomach drops for a second and we click 'em too. But here's the thing: they just aren't true. Blogging is far from over. Instead of worrying about the end of the market, we want you to refocus on how you are going to get a bigger piece of those increased budgets! But how do you do it? How do you maximize your income from sponsored posts when the brands dictate the rates? Simple. Know what you're worth. Market the right way. Master the art of negotiation to make sure you get the right rates. Let us guess. You have no idea how much you should be charging for your sponsored content. We know. Trust us, we know. So much of the influencer marketing world seems like a big secret. A secret formula to determine your rates. Rumors about what really matters to brands. Wondering how to get noticed by brands. Conflicting information abounds, right? If you ask about pricing your services in a Facebook community for bloggers, you'll get ten different answers on how to set your rates. Why is there no consistency? We wish the answer was simple, but it isn't. Influencer marketing is still a relatively new industry. The things that were important five years ago (Pageviews! Pageviews! Pageviews!) don't hold the same weight that they did before. And the most important factor is YOU. You can give the same campaign deliverables to ten different bloggers and the variety in the results will astound you. You bring a unique style to your content. Your personality. Your authentic voice. Your special sauce. So what's a blogger supposed to do? Don't worry; we've got you covered. The only system you'll need for maximizing your sponsored post income. It's a three-pronged approach: pricing, marketing, and negotiation. We're going to guide you through everything you need to work with brands on the kinds of campaigns that are perfect for you and your audience. But wait, who are we and why do we know what we're talking about? We've worked in the influencer marketing world for years. We've administered campaigns, set budgets and priced sponsored content for hundreds of campaigns. All those secrets we learned about pricing? We want you to have them. Danielle is the former Chief Marketing Officer of an influencer network. Jamie is the former Director of Operations for a blogger conference and influencer network. We know this space. We know how to market your services and how to set your rates. We're also lawyers over at Hashtag Legal. In our legal work, we focus heavily on the influencer marketing world. We understand the specific needs of the community and how to negotiate to get a deal that makes both parties feel like they won a giant trophy. 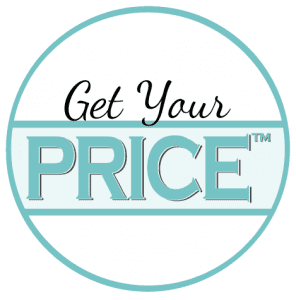 We created Get Your PRICE to show you how to maximize your income by setting the right rates for your services and learning how to use them. Okay, tell me more about the course. Get Your PRICE is a self-paced course, with 5 modules that are jam-packed with everything we know about setting rates for your sponsored content, marketing your services, and negotiating the best possible deals for yourself. It's 100% online, but we've also set up a private Facebook community where you'll have regular access to us and we're happy to answer your questions. The first step in the system is learning the framework we use to set rates. Here's a sneak peek: we don't use pageviews! The PRICE Method is the basis of how we market and negotiate, too, so it is really important to us that you fully understand the elements and how to apply them. Analytics are a really important part of setting your rates. You'll learn how to find all of the analytics that you'll need to do the PRICE Method calculations. If your analytics game is strong, you can skip around these lessons and use only the ones that you need. Knowing how to set your price is important, but it's also critical that you know how to use that information. In this module, we'll show you how to incorporate the PRICE method into your marketing so you can strengthen your pitches, update your media kit, and create case studies that WOW your potential clients. We'll finish this module by diving into long-tail results and how to incorporate it into your marketing. We're tackling an area that we know a lot of bloggers hate: negotiation. We'll show you how to negotiate from start to finish and we hope you'll never need to feel nervous negotiating again. Plus, we have written materials for you. Confession: Danielle loves spreadsheets. There's just something soothing about creating the formulas and watching everything unfold when you enter the data, you know? No? You don't get it? Not into spreadsheets? Okay, we realize that not everyone is a big Excel nerd like Danielle, so we've created spreadsheets for you to help with all of the calculations that we recommend along the way. They're in both gsheet and Excel format, so you can choose the version that you are most comfortable working with. We also have worksheets and cheat sheets to help you throughout the course. You'll be able to download or save them. Or, if making color-coded binders is your jam, you can print them and use them whenever you get a new campaign offer. Ugh, this seems like a lot. How long is this going to take? First, the videos will take you about three hours. Then, you'll spend some time crunching your numbers. (We estimate you'll spend an hour or two on this step.) And if you ever need a little refresher, you'll have lifetime access to the content. After that, you'll be able to set rates that best reflect you as an influencer and the kind of content that you create. (We don't rely on a paint-by-numbers formula, so you will have to learn our method and how to apply it! But once you get it down, you'll be able to look at any campaign and confidently set your rates.) Then you can tweak your existing marketing materials and maybe create some new ones. After that, it's off to the races. Yes, by dedicating just half a work day to learning the PRICE Method, you'll be ready to get paid exactly what you're worth for your sponsored content. But that's not all! If you enroll now, you'll receive a special bonus! If you work directly with a brand for a sponsored campaign, you should send them a report at the end of the campaign to discuss the results. 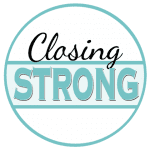 We know that reports are often an area that bloggers ask for help with, so we created a mini-course, Closing Strong (value $49) to show you how to create beautiful campaign reports and what you should include. You'll receive the one-part video training, a spreadsheet template to help you calculate your results, a report template, and a sample report to show you how to customize it. Okay, all of this sounds great, but what does it cost? Access to our private Facebook group, where Jamie and Danielle are available to answer questions. We've done everything we can to make this the best possible system to help you maximize your sponsored income. We've taken the information that we used daily when administering campaigns and make it as easy and accessible as possible. We want to ensure that you love the course that you've purchased, so we are offering a 30-day money back guarantee. You'll have 30 days to go through the course materials and crunch the numbers. If you aren't satisfied, you can email us and we'll gladly refund your money. We know you may have questions. We've tried to anticipate them and answer a few frequently answered questions below. There are tons of pricing formulas out there. How do I know this one works? The PRICE Method isn't a formula. It's a framework to help you determine the best pricing for your content, based on audience factors and performance. We created the PRICE Method based on in campaign administration for influencer networks. These are the factors that we used when setting rates and we've put them into a simple system that you can apply. $299 is a big investment for me. I'm just not sure it's worth it. For many bloggers, they will get this, or more, by completing one sponsored campaign with the knowledge that they've gained from the course. That's right, you could potentially recoup your investment in as little as one campaign. Plus, consider the value of the product, which is $1,546. I'm a creative at heart and I don't love diving into my analytics or spreadsheets. Will I be completely lost? Definitely not. We dedicated a full module to making sure that you know exactly which analytics you need. We've created the spreadsheets for you, so all you have to do is type in your information. In the module where we crunch the numbers, we'll show you exactly how to use the spreadsheets. If that type of data analysis isn't your thing, we want to make it as easy as possible. But what if I hate it? Remember, we offer a 30-day guarantee. You'll have 30 days to go through the course materials and crunch the numbers. If you aren't satisfied, you can email us and we'll gladly refund your money. At any time, feel free to email us at questions@businessese.com with any questions or concerns.